The beginning of this trail is found at the First Chapel Site in Rocco Point. 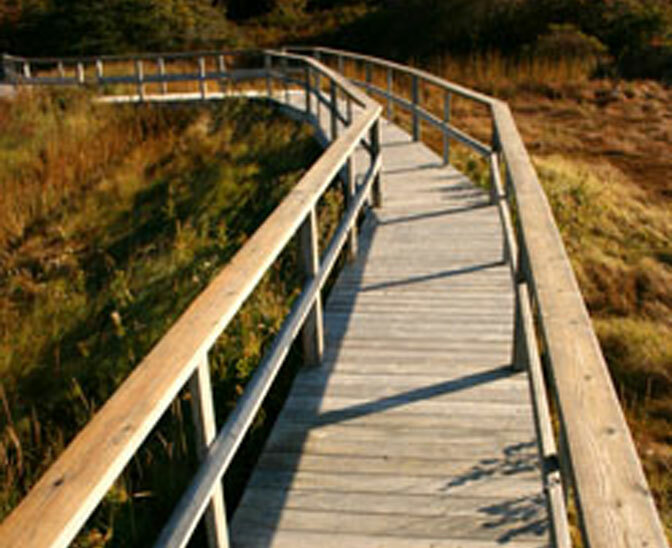 The trail includes a boardwalk with observation area. There are guides at the Sainte Anne-du-Ruisseau Church which is 1 km away who can provide info about the site itself and the history of the chapel. Click here for more information on the Rocco Point Trail.